Most of the time, we have a variety of pigs for sale. Call or email for current market prices and availability. Miniature pigs, also known as micro pigs, pocket pigs, or teacup pigs, have seen an increase in popularity in being kept as pets, especially following Paris Hilton's purchase of one in 2009. They are intelligent animals and can be house-trained. They do not shed and tend to keep themselves clean. Micro pigs can potentially make great pets, but there are considerably more risks involved when buying a micro pig over other common pets, such as cats or dogs. The biggest concern is that, since there is no established breed of "teacup pig", there is no guarantee that the pig sold as such will actually stay small. The risk of ending up with a large pig can be somewhat minimized by looking at the pig's parents and grandparents if possible. If they are on the smaller side, the odds are better that the pig will remain small. 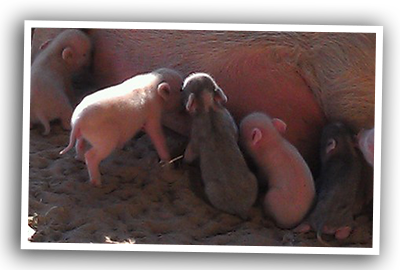 However, since pigs can breed years before they fully mature, unscrupulous or ignorant breeders may show off parent pigs which are not fully grown themselves, so have not reached their full adult size. Some breeders may falsely claim that a mini-pig is guaranteed to stay under a certain weight, and sometimes will recommend a diet regimen that starves the animal and unnaturally stunts its growth. 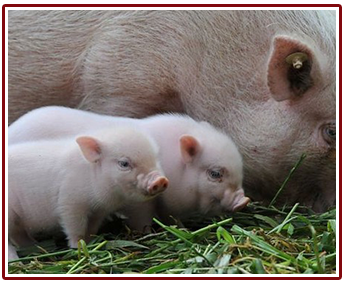 In 2012 the Juliana Pig Association & Registry (JPAR) was officially founded. 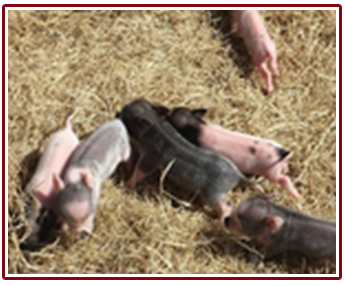 This registry is concerned with the lineage and breeding of a subset group of miniature pigs called Juliana pigs. 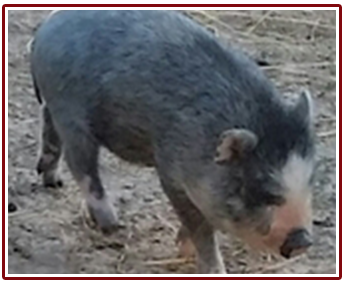 JPAR records lineage, size, and age on every pig entered and has an online database that is open to the public.  JPAR has a breed standard, Code of Ethics for responsible breeding, and consequences to falsification of information for farms that make false claims about their pigs. As JPAR grows so does the consistency of this particular breed of miniature pig. Some towns and cities have ordinances disallowing farm animals within city limits; a pig is usually considered a farm animal regardless of its size. As well, many small animal vets will not treat pigs. Since these animals have a life span of 15 to 20 years, they require long term commitment. 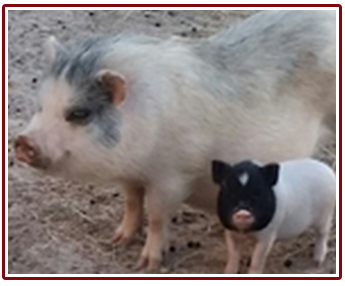 Due to their ability to bond, combined with their need for attention, people who have limited time for a pet may find a pig far more than they can handle. Additionally, if pet pigs are not properly trained when they are young, just like a dog they can become very aggressive. There are multiple animal rescue organizations set up to find new homes for pet pigs which have grown too large or otherwise unmanageable for their owners. In 2009, pig sanctuaries took in approximately 300,000 pigs which were surrendered by their owners, and abandoned pigs that cannot be rehomed are often euthanized.